With back-to-school time right around the corner, I couldn’t help thinking about the days when going to school was my only “job”. Regardless of the grade, every year was the same routine — I walked into my classroom with the expectation to work hard, learn new things and grow. Graduation confirmed I had met the necessary milestones and reached a new level of maturity. I have come to realize that the model and premise for my education (and frankly, the rest of my life) is very similar to that of any business and brand — to learn and grow. No business is ever launched with the intention of breaking even each month. Of course not – it’s expected that over time, with commitment and enthusiasm, a business will flourish with a growing profit and customer base. Your brand sets expectations for what consumers can expect from your company. It should also reflect the changes and growth the business has encountered over time. Think of it this way: Can you imagine completing high school with the same character and level of knowledge you had in primary school? Heck no! There is no way you would have made it. You had to evolve. The same goes for your business, and by extension, its brand. With each new customer, your business is expected to meet a new standard. Understanding how to satisfy individual customers helps build a wealth of experience for your business to reach the next level of success. Your brand evolves because of that. Much like our personal lives, there is always opportunity for brand growth and development that can yield positive results for your business. At TSN Communications, we help our client partners evolve their brand to the next logical stage. Are you ready to take your business to the next level? To get started, contact Natalie Hill for more information 1.877.411.3242 ext. 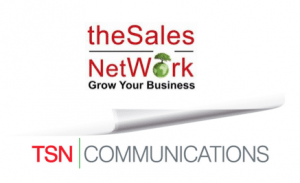 805, or by email at Natalie@tsncommunications.com.